This member of the Passifloraceae family was described by Hermann August Theodor Harms in 1923. It is found in eastern Africa, growing in a well drained soil with some water and some sun. 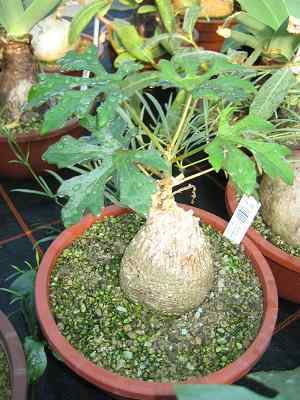 The caudex can reach 25 centimetres in diameter, the vines 150 centimetres and the flowers are from pale yellow to creamy. Useful tip: The juice of the fruit in meat has been used to poison hyenas.